Wimbledon legend Boris Becker lost a huge part of his £100million fortune in dubious investments in Nigerian oil firms, it has been claimed. German news magazine Der Spiegel – citing documents from soccer whistleblowing platform Football Leaks – said Becker struck the deal in 2013, which contributed to his recent bankruptcy. Spiegel said the ‘mega-deal’ was brokered by a Canadian firm and a Nigerian employee of Becker, pictured. 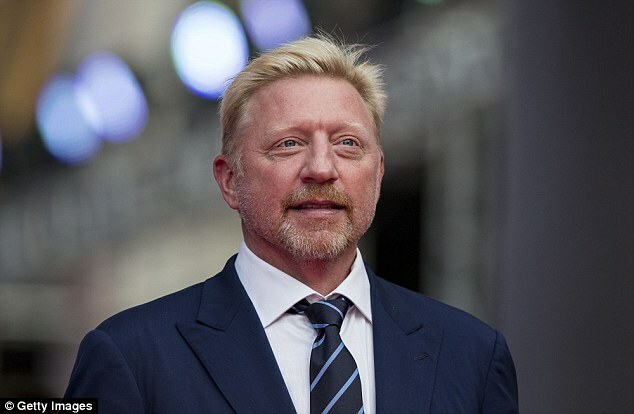 Becker, now 49, was once estimated to be worth upwards of £100million. He was declared bankrupt over undisclosed sums owed to London-based private bankers Arbuthnot Latham & Co since 2015. Remaining assets will be disposed of to pay creditors. Among earlier cash woes, Becker was landed with divorce and paternity settlements in 2001 totalling more than £20million – to his first wife, Barbara, and Angela Ermakova, the Russian model who had his baby after a brief encounter in a London restaurant. The next year Becker received a two-year suspended sentence for tax evasion. He was ordered to pay £2.5million in back tax, fines, and costs after claiming Monaco as his main residence while mostly living in Munich. And in 2011 a Dubai property development to which he lent his name went bust.